You know greige (grey + beige)? We broke up. I’ve moved on. I’m all about preige now (purple + … you guessed it). I love this color because my skin has kind of pink/purple dawn of the dead undertones, so as far as darker colors go, it’s very flattering. I just can’t do a brown or a dark red - it makes me look unwell. 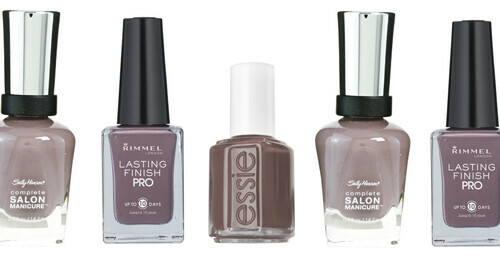 The Essie is a little browner than the others, which are extremely similar (possibly the exact same - it happens). What’s your favorite new nail color for Fall?